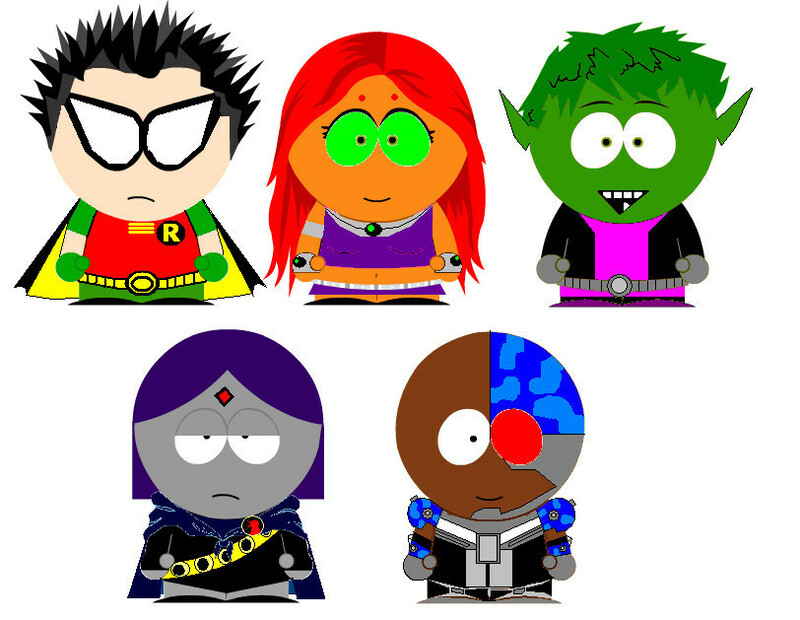 Teen Titans in South Park. . HD Wallpaper and background images in the Los Jóvenes Titanes club tagged: teen titans teen raven robin titans starfire beast boy cyborg. This Los Jóvenes Titanes photo contains diagrama de venn, diagrama de venn de, and diagrama venn. There might also be disco compacto and cd.